July 26 is Liberia’s Independence Day anniversary. On July 26, 1847 the independent Republic of Liberia was officially born, created by less than 1,000 men: freed slaves, free-born blacks and mulattoes from the United States of America. They called themselves ‘Americo-Liberians’ and picked as the new republic’s national motto: ‘The Love of Liberty Brought Us Here‘. We will never know how many people already lived on what was then called the Pepper Coast, but the tribal population outnumbered the new emigrants by far. By 1900 emigration to the Republic of Liberia had ceased. In all, some 15,000 African-Americans from the United States and some 300 from the West Indies had crossed the Atlantic Ocean in search of a better future. We know the rest of the story: the Americo-Liberian one-party rule and the political and social exclusion of the African-Liberian population were abruptly ended with the 1980 coup of Master-Sergeant Samuel Doe, who became the country’s first president of tribal origin. But disillusion followed. Ten years of human rights abuses and dictatorship characterized Doe’s reign and in 1990 he was as brutally murdered as he had butchered his predecessor, the Americo-Liberian President Tolbert. The two civil wars (1989-1997; 1999-2003) devastated the country, destroyed the little that had been built up since 1822 when the first group of settlers landed on Providence Island. When in 2006 Ellen Johnson Sirleaf, the continent’s first democratically elected female president, took over from her former ally-turned-into-enemy Charles Taylor the country had to start from scratch. But by then many people had ‘voted with their feet’. An estimated 500,000 Liberians have replaced the Land of Liberty for another country to live in – compared to 4 million who continue living in Liberia. The largest number of Liberians abroad can be found in the United States, officially about 100,000 though some sources put this figure much higher, between 250,000 and 500,000, but I want to see more evidence before believing this estimate. Most of these ‘Liberian Americans‘ are organized in one of the many organizations that Liberians have created. The Union of Liberian Associations in the Americas is the most important national umbrella organization with 23 local organizations in at least 13 states plus Washington DC. But based on research on the internet, I estimate that in each state Liberians can be found. The largest Liberian communities live in Rhode Island, New York, Washington DC, Virginia, Georgia, Minnesota and, recently, California. 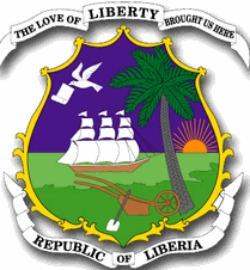 The total number of Liberian organizations in the Unites States is overwhelming. The oldest and largest organizations are the United Bassa Organization in the Americas (UNIBOA), the National Krao (Kru) Organization in the Americas (NKKA) and the Federation of Liberian Mandingo Associations in the USA (FELMAUSA). But there also exist organizations of Liberians originating from the same county like e.g. the National Association of Cape Mountainians in the Americas (NACMA). Other organizations are named after the city, state or region of the United States where Liberians reside like the Conference of Liberian Organizations In The Southwestern United States, the Liberian Organization of Piedmont, North Carolina, and the Liberian-American Community Organization of Southern California. The largest Liberian community may live in Rhode Island or in Minnesota. The Organization of Liberians in Minnesota (OLM) is one of the most active Liberian organizations in the United States and The Liberian Journal is a major Minnesota-based online group that earlier this year started a print version for the Liberian Diaspora in Minnesota and neighboring states. This year OLM’s preparations for the celebration of the country’s 166th independence anniversary are being overshadowed by the row over the invited keynote speaker, Liberia’s Finance Minister, Amara Konneh, who is considered responsible for the alleged diversion of US $ 13 million of European Community aid funds. ULAA’s sister-organization in Europe is the European Federation of Liberian Associations (EFLA) with member-organizations in at least 15 European countries: Belgium, Denmark, Finland, France, Germany, Ireland, Italy, Luxembourg, The Netherlands, Norway, Poland, Slovenia, Sweden, Switzerland, United Kingdom. It is not known how many Liberians the national organizations represent nor is it known how many Liberians live in Europe. The recent wave of restrictive immigration laws in the majority of the European countries have forced many Liberians out of the official statistics making any estimate a futile exercise. Almost certain the number of Liberians in European countries does not exceed 50,000. Probably the largest Liberian community in Europe lives in the Netherlands. The main umbrella organization here is the Liberian Association Holland (LAH) and was created in 1991, no doubt by refugees following the start of the first civil war. The LAH is organized in local chapters and claims to have some 3,000 members but this may be an outdated figure. 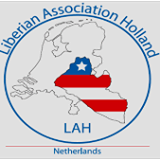 Other organizations of Liberians in the Netherlands are Liberians in Holland, the Liberian Association in Rotterdam and the Liberian Mandingo Organization in the Netherlands, Bengoma, to name but a few. Between half a million and one million Liberians fled during the fourteen years of civil conflict to neighboring countries in West Africa. After the signing of the Comprehensive Peace Agreement (CPA) in 2003 many refugees returned, sometimes aided by the United Nations (UNHCR), but an unknown number has preferred not to return to the Land of Liberty. Their number may even be as high as 100,000 or 200,000 some of whom have already adopted the nationality of their new home country. ‘July 26’ approaches again. 4 million Liberians will celebrate their country’s independence anniversary at home. Hundreds of thousands of political and economic Liberian refugees abroad will also celebrate ‘July 26’: in North America, Europe, Sierra Leone, Ghana, Nigeria or another West African country, Guinea, Ivory Coast, Mali. Most Liberians in the diaspora are well educated and the best trained people of their country. Overall, an estimated 30-40% of the educated Liberians left their country and will not return, lacking confidence in their country’s future. Liberians are fond of jokes. It is being said that ‘The Love Of Liberty Brought Us Here but The Lack of Money Kept Us Here’. Notwithstanding the foregoing, the Liberian diaspora yearly sends an estimated US $ 100 million to Liberia. Let us hope that these remittances will contribute to the miracle that has to happen to make Liberia a middle-income country by 2030, the official goal of the present Administration. Only in that case the number of Liberians celebrating ‘July 26’ abroad will diminish and the Land of Liberty again becomes the land that the pioneers in 1847 thought it would be, the Promised Land. This entry was posted in 1847 Constitution, African Politics, Americo-Liberians, April 12 1980, Charles Taylor, Comprehensive Peace Agreement CPA 2003, Conference of liberian Organizations in Southwestern United States (Colosus), Corruption, Elections in Liberia, Ellen Johnson Sirleaf, European Federation of Liberian Associations (EFLA), Federation of Liberian Mandingo Associations in the USA (FELMAUSA), Independence Day, Liberia, Liberian Association Holland (LAH), Liberian Demography, Liberian Diaspora, Liberian History, Liberian Mandingo Organization in the Netherlands Bengoma, Liberian-American Community Organization of Southern California (LACOSC), Liberians In Holland, National Association of Cape mountainians in the Americas (NACMA), National Krao (Kru) Association in the Americas (NKAA), National Motto, National Seal, Organization of Liberians in Minnesota (OLM), Pepper Coast, Remittances, Samuel Kanyon Doe, The Liberian Journal, The Liberian Organization of the Piedmont, UNHCR, Union of Liberian Associations in the Americas (ULAA), United Bassa Organization in the Americas (UNIBOA), Vision 2030, William R. Tolbert Jr.. Bookmark the permalink.